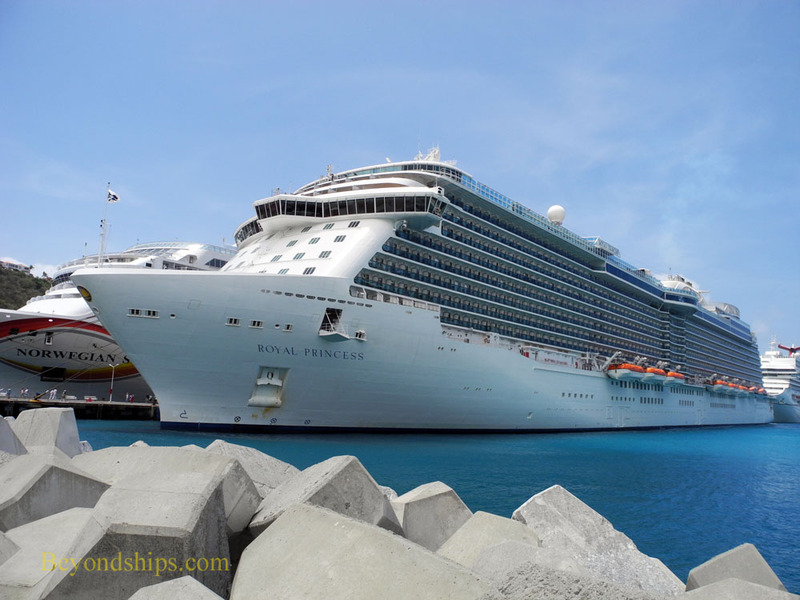 Royal Princess undertook her first eastbound transatlantic crossing from Fort Lauderdale, Florida to Copenhagen, Denmark in April 2014. 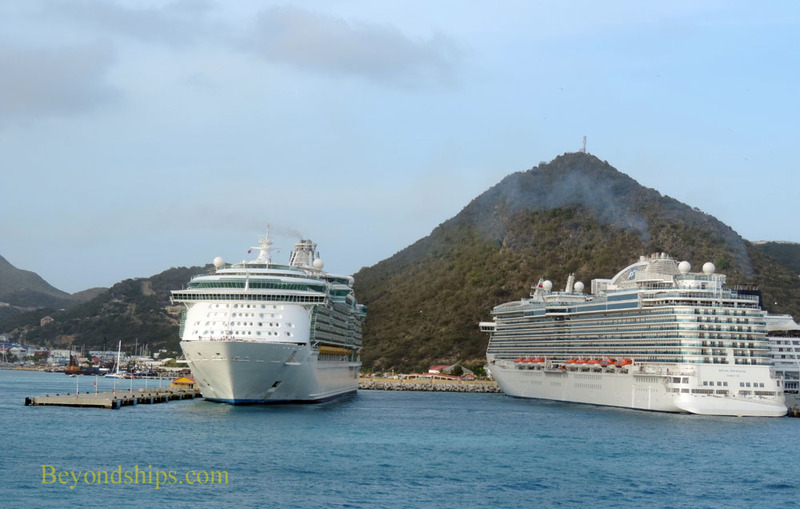 In this photo feature, we see Royal Princess in two of the ports along the way, St. Maarten and Southampton, England. 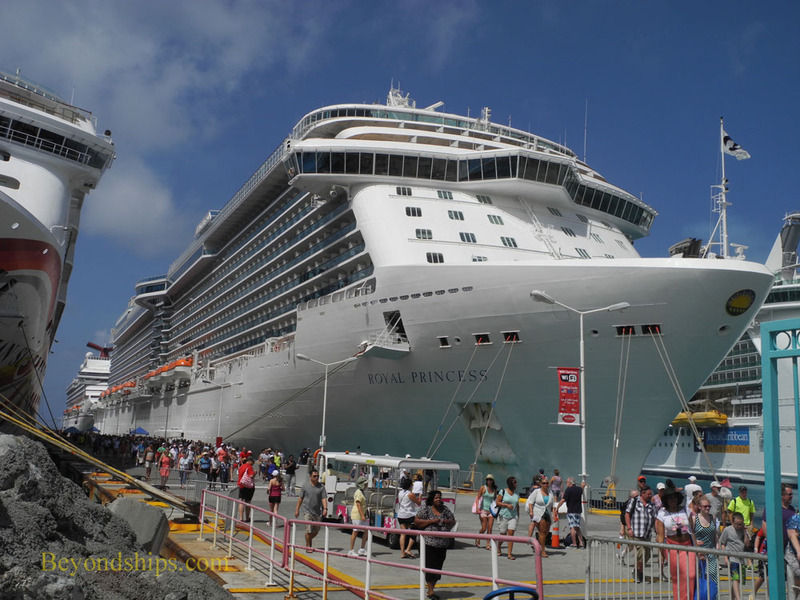 In the top series of photos, we see Royal Princess at the A.C. Wathey cruise port near Phillipsburg. 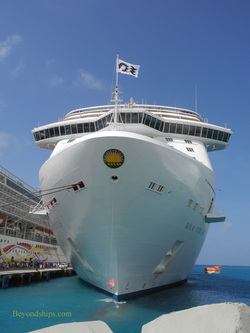 With Freedom of the Seas. 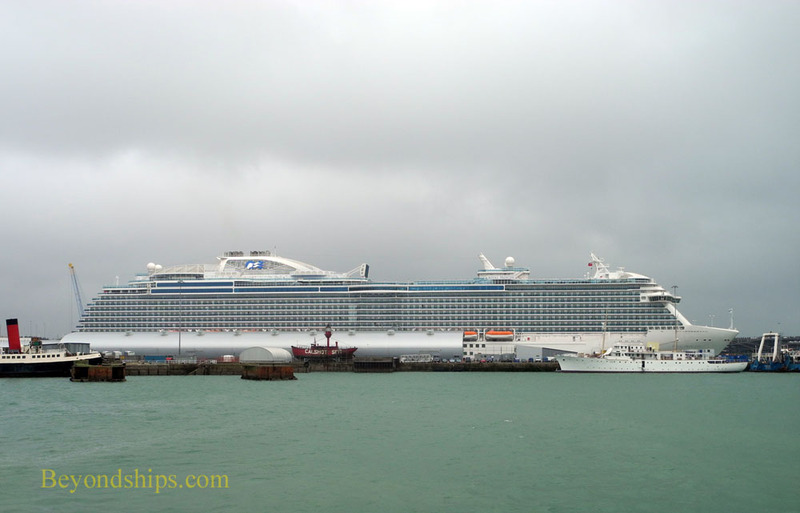 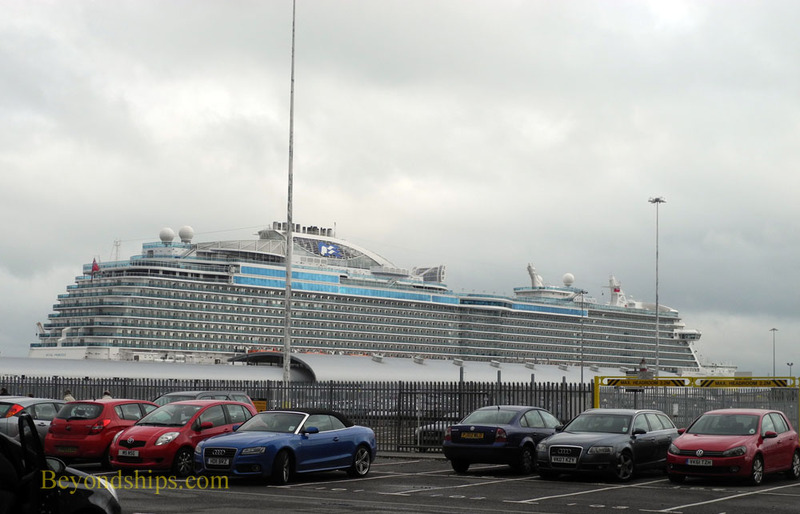 Here, Royal Princess is seen on a rainy day in Southampton at the Ocean Terminal.